We LOVE stir fry! It’s a great way to get in your veggies for the day, and there is something about the sweet and salty sauce that this stir fry is tossed in that’ll keep you coming back for more. 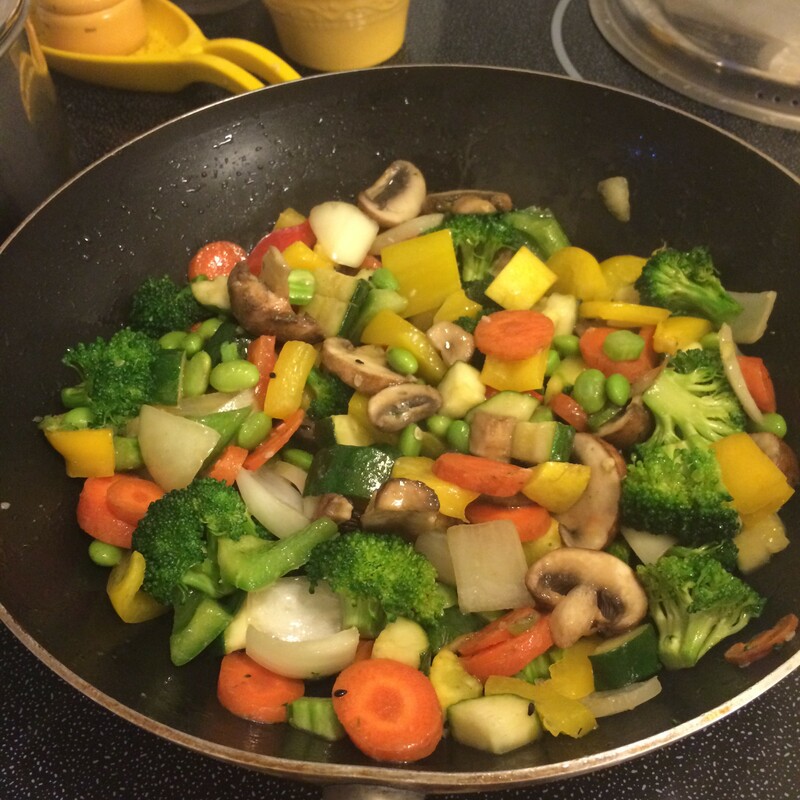 I serve this stir fry at school with my kiddos favorite veggies and I serve it at home with our favorite veggies. 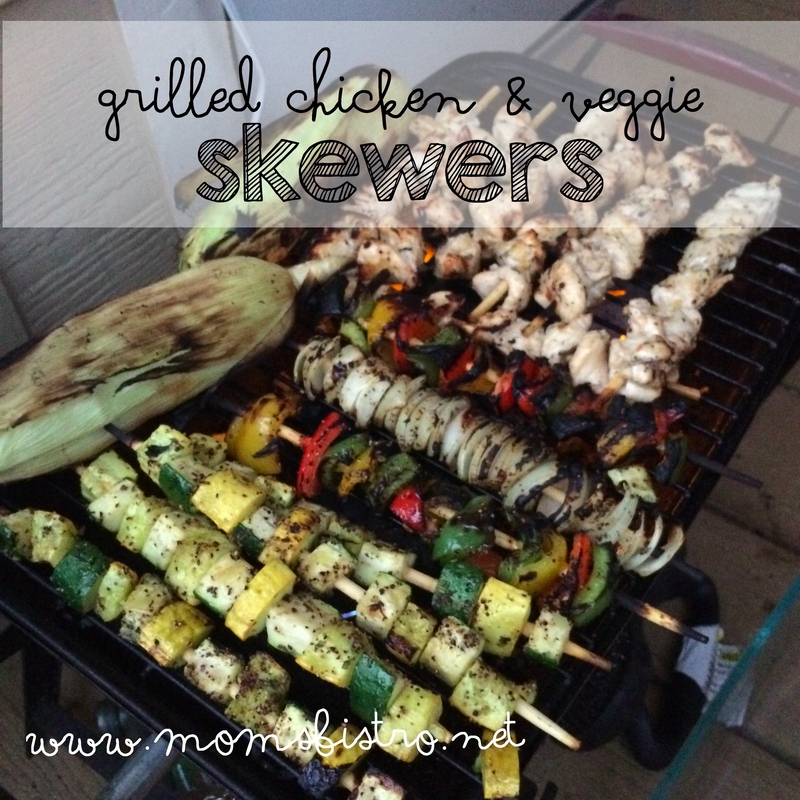 The best part about stir fry is how versatile it is, and how limitless your options are. 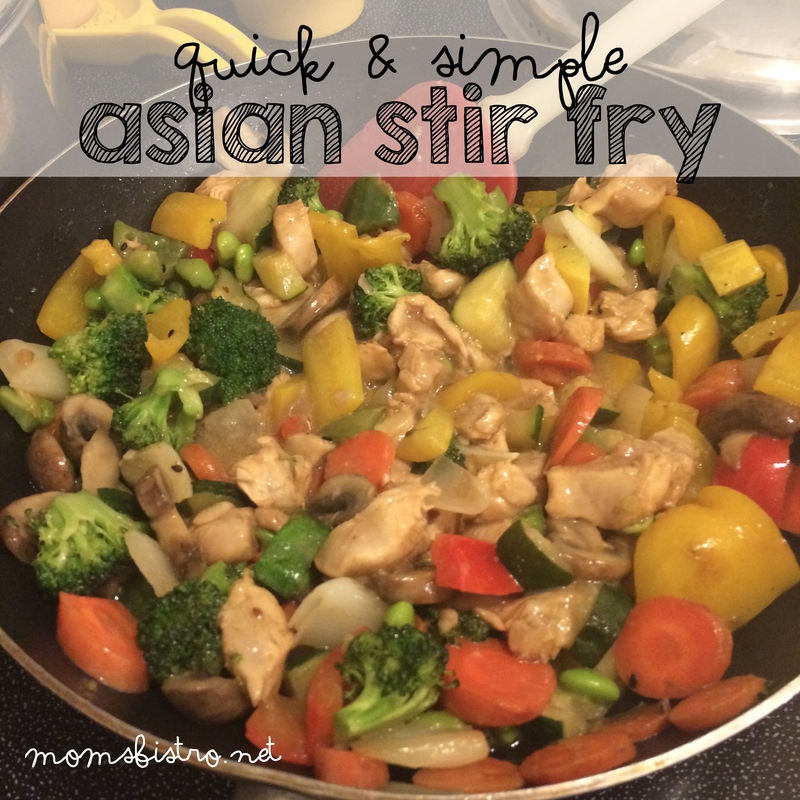 Stir fry is a great way to use up any veggies and meat in your fridge or freezer. 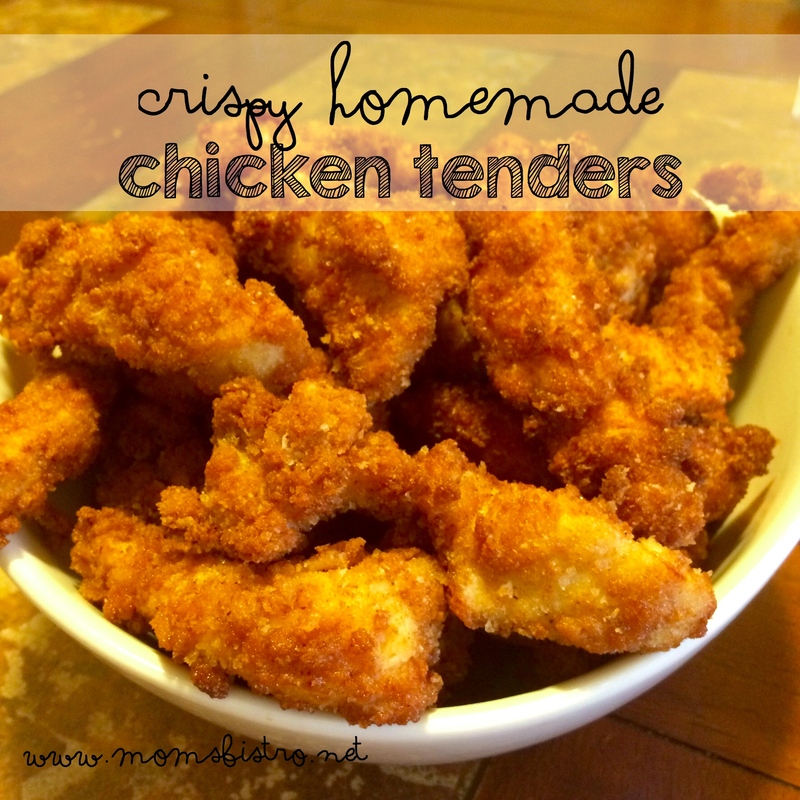 Want to skip the meat, and make it a vegetarian meal? 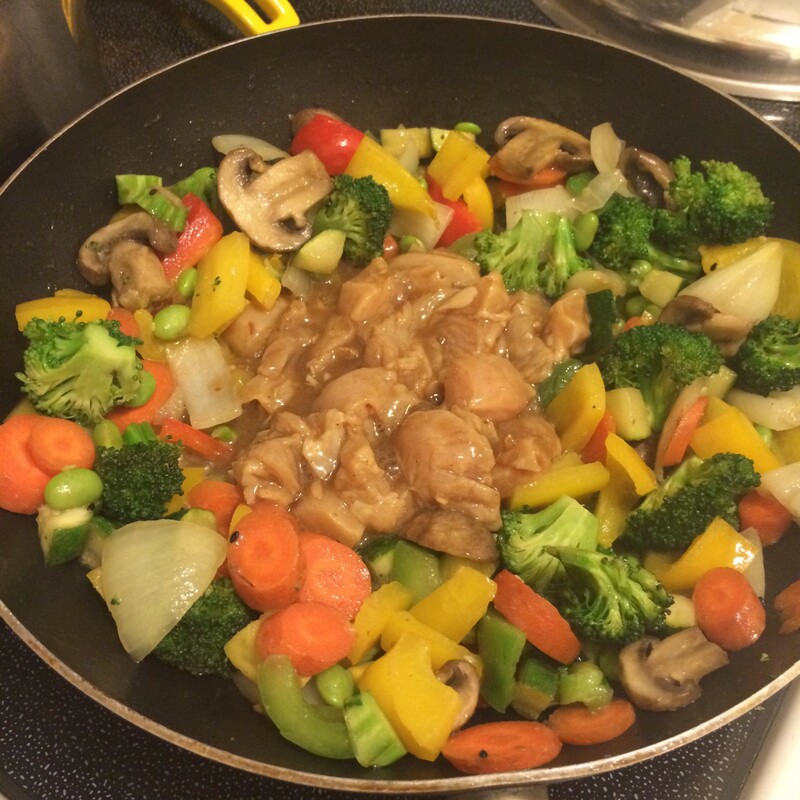 Go ahead – that is what makes stir fry such a great meal. Cook rice or noodles according to package directions. Heat olive oil in a wok over medium-high heat until shimmering. Add carrots and onions. Cook stirring frequently – this is stir fry after all, until the onions start to soften and turn translucent – about 5 minutes. Add remaining vegetables, and stir to combine. Cook, stirring frequently for another 5 minutes. 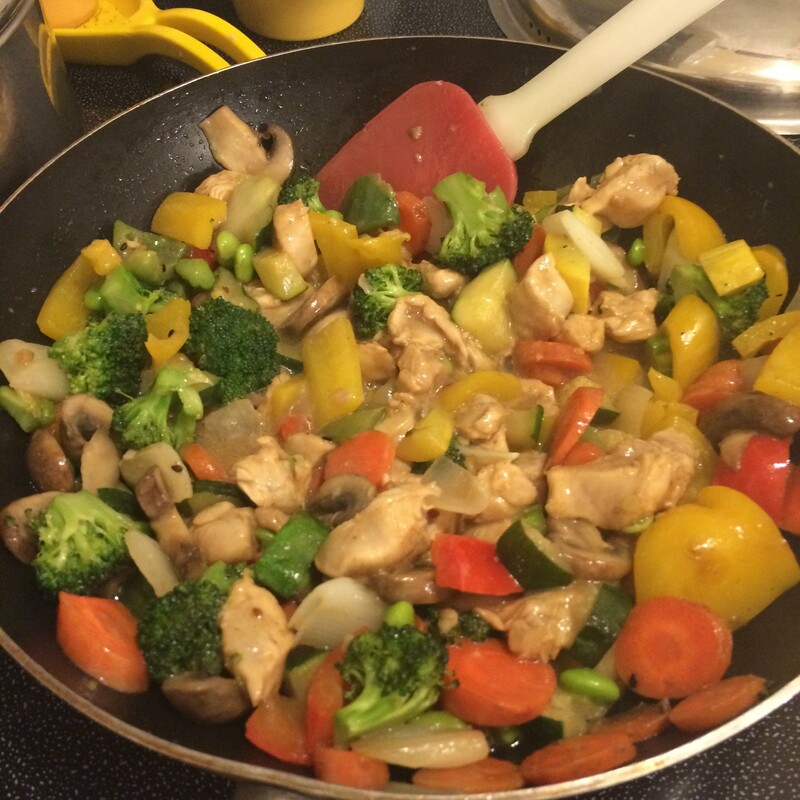 Make a well in the middle of vegetables by pushing them up the sides of your wok, and add diced chicken. Season with asian seasoning mix, and cook, stirring in cooked veggies, and combining chicken and veggies, until chicken is cooked – about 8-10 minutes. Reduce heat to low. Add salad dressing and stir to combine. Let simmer for about 10 more minutes – or until your rice is done cooking. 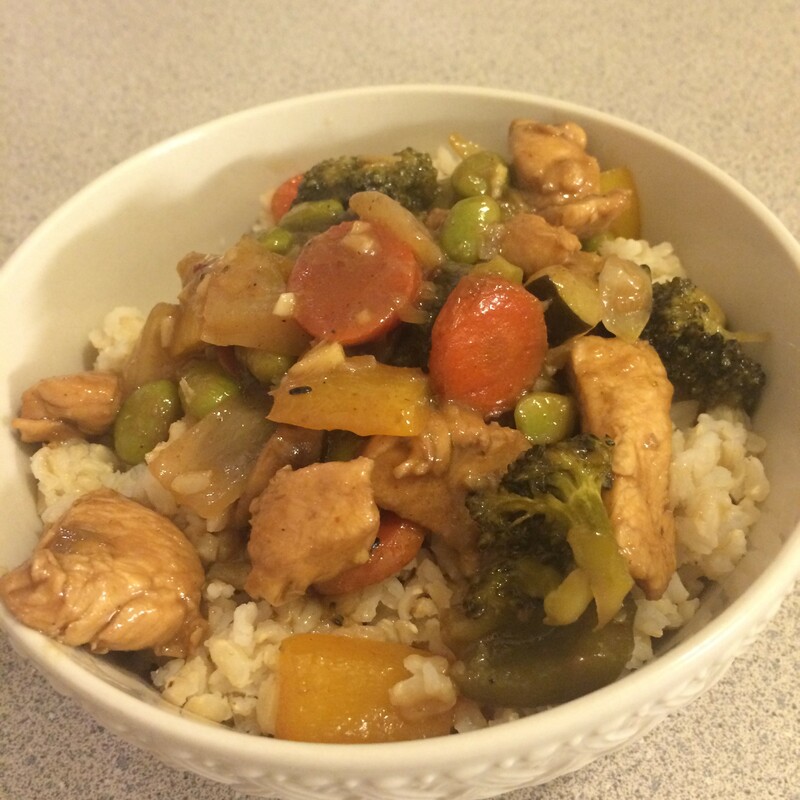 These aren’t the prettiest pictures, but this stir fry is absolutely delicious – and so easy! 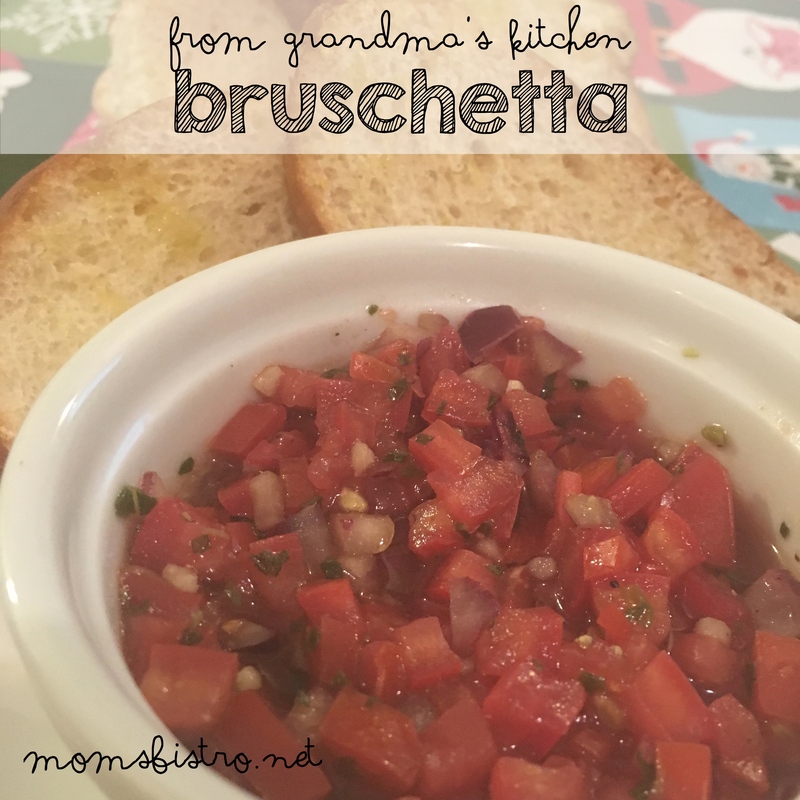 If you’re looking for the FREE Printable version of this recipe, click the link below to download a PDF version.